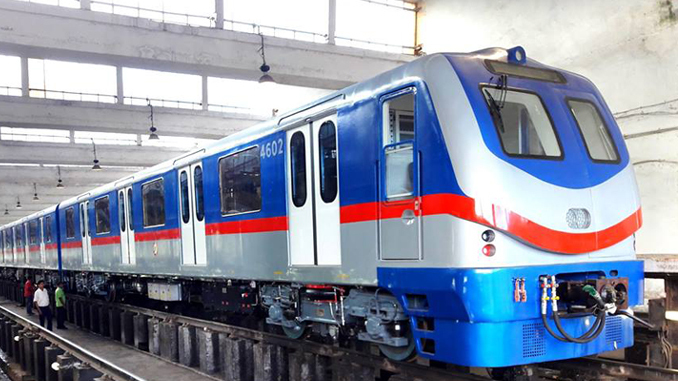 Kolkata: Two more Air-Conditioned (AC) rakes have finally joined the Metro fleet and started their commercial run on Wednesday, almost 2 years after arriving in the city. The two rakes, built by the Integral Coach Factory (ICF), Chennai flunked multiple trials before getting the Commissioner of Rail Safety’s clearance in December last year. The authorities were awaiting the Railway Board’s clearance before deploying the rakes for commercial run. A senior official said, the board’s clearance came in the second half of Wednesday. The official said, one of the rakes left Dum Dum around 8.30pm on its maiden commercial run. The two rakes together made at least 4 round trips on Thursday. The older AC rakes make over 5 round trips every day. Three more AC rakes manufactured by the ICF reached city after the earlier two. Another official said, two of the newer rakes will start their commercial run soon. About 6 lakh people travel by Metro every day and the count is increasing by the year. Rail Analysis insights: The official said, one of the rakes left Dum Dum around 8.30pm on its maiden commercial run.